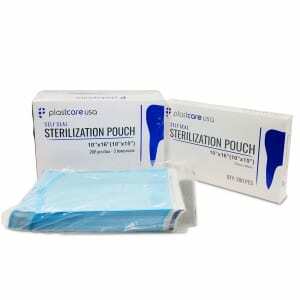 Made of high-quality medical grade paper and ultra-strong, difficult to puncture, transparent blue film sealed together with a triple heat-sealing process provide reliable durability to these dental sterilization pouches. 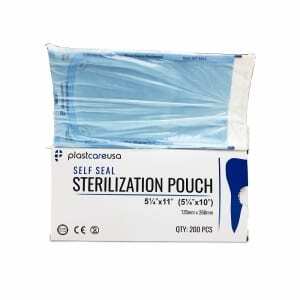 These instrument pouches feature color changing EtO Gas and Steam/Vapor indicators which notify and confirm completion of the sterilization process. 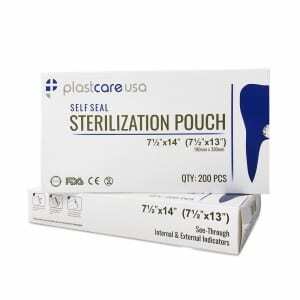 Designed to hold tools and instruments during the sterilization process, these autoclave pouches, as long seal is not broken, will also provide sterile storage until such time as tools or instruments are needed for procedures. 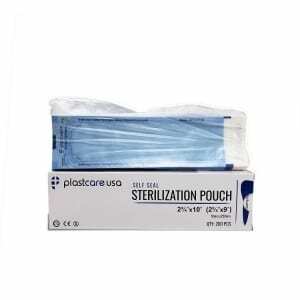 Stay organized and make procedure prep simple by placing all dental instruments or spa tools needed for a specific procedure into one pouch – after sterilization, do not open pouch. 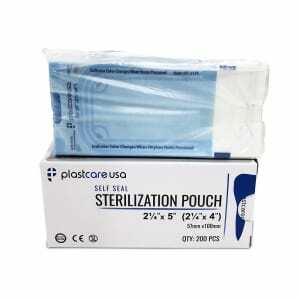 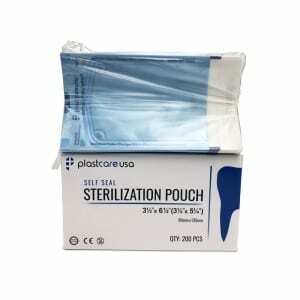 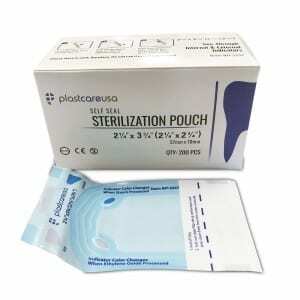 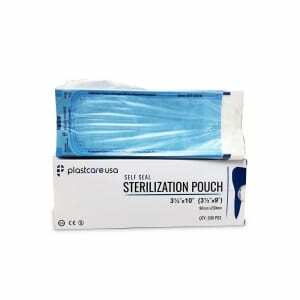 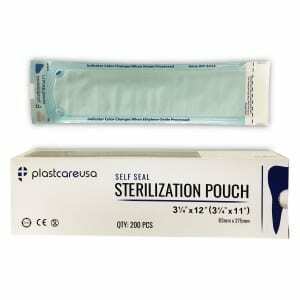 Instead, store sterilized instruments inside of the processed pouch, still sealed, until needed for specified procedure.